100 1 %a McKay, David. 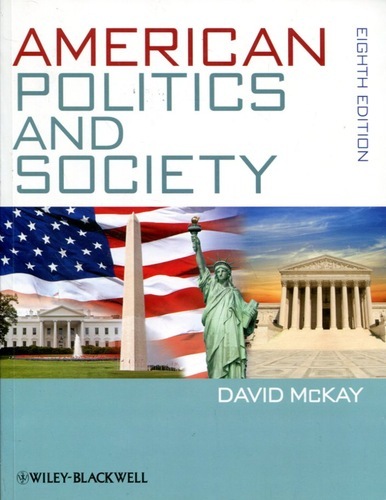 245 1 0 %a American politics and society / %c David Mckay. 260 %a Chichester, West Sussex : %b Wiley-Blackwell-A John Wiley & Sons, %c 2013. 300 %a XXIII, 496 s. : %b il. ; %c 25 cm. 651 9 %a Stany Zjednoczone %x polityka %y 20-21 w.